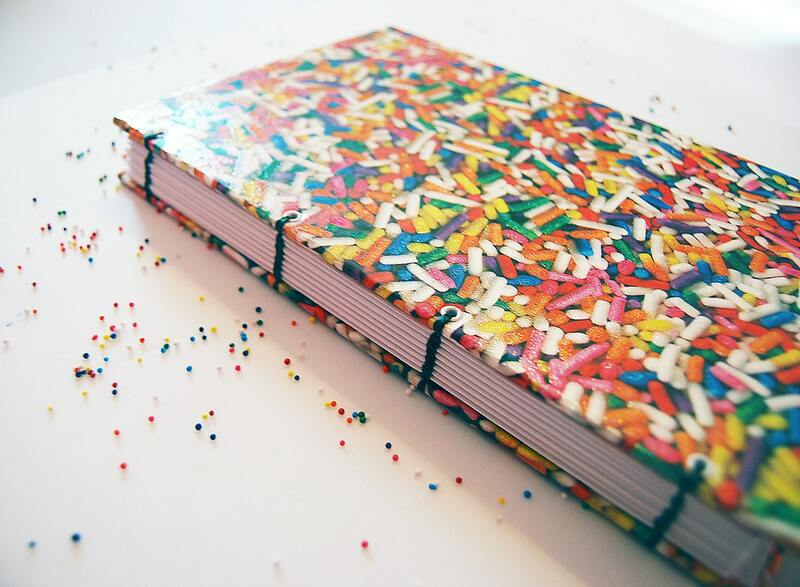 It's printed in sprinkles and it's glittery. It kind of makes my mouth water. Is that creepy? I just love anything candy colored . 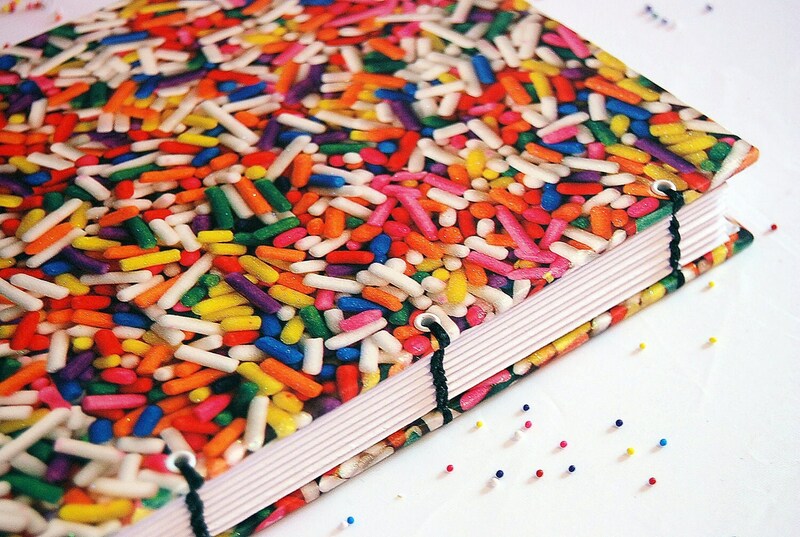 . . this journal is sort of like a Lisa Frank Trapper Keeper for grown-ups. It's all handsewn. At first I was afraid to even write anything in it . . . it's a work of art! 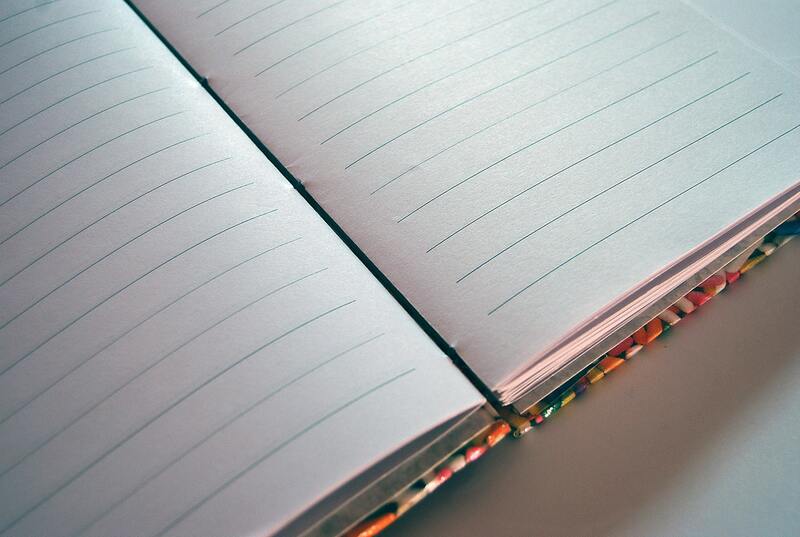 Then again, I've been really want to get back into the writing game and what's a better motivation to write than a gorgeous notebook (that I secretly caress over and over again when no one is looking . . . creepy?)? Kristin did an amazing job of packaging and shipping to me. 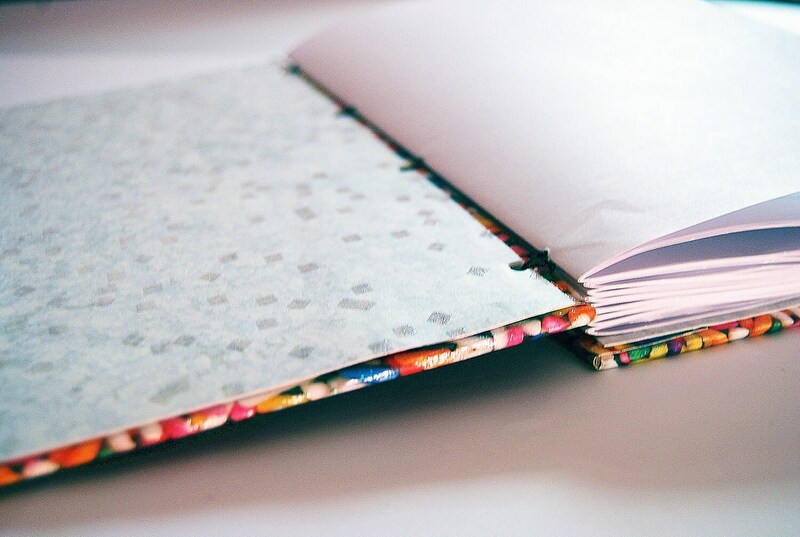 She has a great selection of handbound journals that are both unique, affordable and one of a kind. One of these babies would be a great gift for anyone. So if you're scratching your head about what to get this year for someone, check out Bound to Write. You won't be sorry! Now to go touch that notebook again . . .